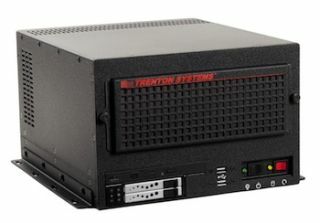 Trenton Systems' TVC4502 is an HDCP compliant video controller platform providing an integrated hardware and software solution bundled together to simplify video wall installations. Features include: local desktop video wall control, remote video wall control over a network using devices like tablet computers or smart phones, video image edge overlap, video scaling and seamless video signal switching from a wide variety of video input devices. The hardware heart of the TVC4502 is a long-life Trenton Systems' motherboard and a fanless, HDCP compliant Matrox Mura MPX-4/4 video board delivering up to four 1080p high-definition inputs across four 1080p high-definition outputs. HD input captures are made possible in diverse display wall applications like digital signage, corporate boardrooms and facility security centers. The TVC4502 integrated software bundle includes all of the necessary drivers fully loaded and ready to deploy in your specific application via the Matrox PowerDesk package. For quick start-ups, the Microsoft Windows 7 operating system and the MPX Wall Controller Software come pre-loaded on the Trenton TVC4502.